Please note that this item is MADE TO ORDER. Please allow at least 1 week to complete. 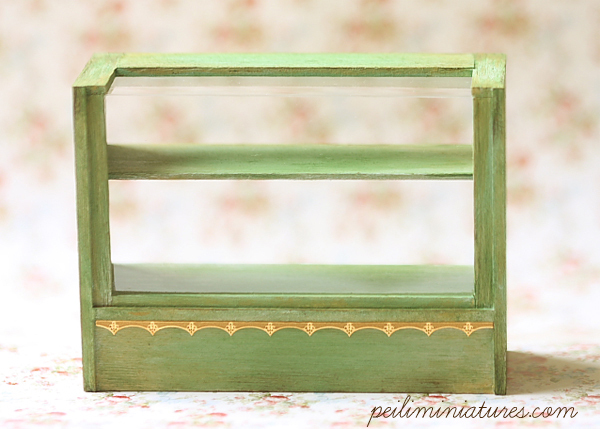 Handcrafted dollhouse miniature cake display shelf in a beautiful antique shade of green, this has a very elegant, antique charm to it! If you are building an antique cake shop, this will be perfect!